More additions to the Snowbombing line up as joining Dizzee Rascal will be Frankfurt’s finest - Booka Shade, British house taste-maker – Switch, Maverick Sabre and Fake Blood! 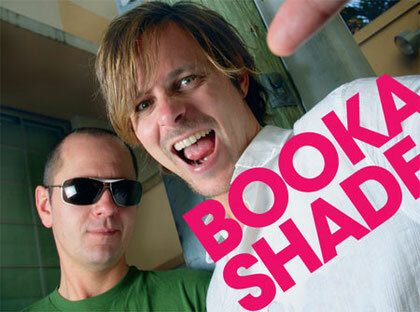 Ever busy in the studio, Booka Shade’s live performance will see renditions from acclaimed albums such as ‘Memento’ and ‘Movements’. They’ve also had global success with production and remix duties for other big names such as Depeche Mode, Moby, Yello, Hot Chip, Roxy Music, Kings of Leon, Tiga and The Knife to name a few. The duo, comprising of Walter Merziger and Arno Kammermeier, were recently voted as one of the Top 5 live electronic music acts in the world by Resident Advisor. Someone who you might recognise from British Big Beat duo The Wiseguys, Theo Keating, now known better as Fake Blood completes the recent announcement! After the incredible success of The Wiseguys, Keating went on to pursue his solo career as Fake Blood. Still championing bold Disco breaks and lively funk samples, Fake Blood saw his music rise through the UK charts in 2010 with ‘I Think I Like It’. Having also graced remixes for Arman Van Helden, Underworld and Hot Chip, Fake Blood is an undoubtedly a performance not to missed!